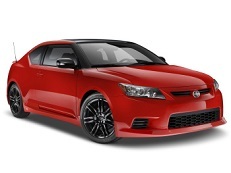 Correct Wheel Sizes, PCD, Offset, Rims and Tire specs for Scion tC series. 225/65/r17 fit a 2008 Scion tC? Will 225/65/r17 fit a 2008 scion tc? Hi i Have a 06 Scion tC can I put 2011 rims on it? Hello I have a 2012 scion Tc what is the highest size rim I can put on my Tc!?! Hi,CNICE187,the hightest size is 20''. Can I put 8 inch wide rims on my 2015 scion? 225/50/r17 ? 17×8 instead of 17x7.5? Hi,Mike,You can try 225/50/17.It will have tiny effect on your car. Hi, jana,The oem wheel size for scion tc is 18'',And if you want to put 17'',it is ok,but you'd better use 18''. I have a 2010 TC Scion, I hate the low profile tire. I have hit more pot holes than I would like to admit, and have blown a tire every time. I would like to know if you could tell me what size rim I could put on my car to put a normal size tire on . Hey I have a 2015 tc. I bought 225/45/17 winter tires with plain steel rims. I am constantly bending my rims and ruining them. I know to avoid potholes as I know of this issue. Is there something wrong with the tire / rim or is there a bigger tire a can get to avoid this problem. What is your suggestion? Hi,Andrew cowie,Can you explain your question?You rims bended by the tire?or bended by other things? My winter rims are bending just from daily use in the winter. I have them over inflated hoping it will help. I have a 2005 Toyota Scion with size 225/40r18 tires and I need a new rim. What size should I get? Looking to stance my vehicle with just a slight camber. Nothing outrageous. Very little. But what width and offset should I go with? Im looking for a 17"-18" wheel and tire combo that would good with this setup. 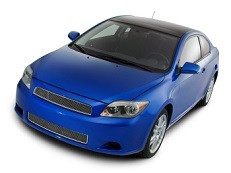 Its on a 2007 scion tc bade model. Hello, I have a 06 scion TC. My tires are r17 but I want some r18 snow tires. If I got new rims would the tires fit my scion? My daughter has a 2005 or 2006 scion TC. We would like to get rid of the hi profile tires and put regular rims and tires on it. Could you suggest rims and all season tires. Hello i have scion tc 2015 series two tone...can 5x100 front 18x8.5...rear 18x9.5 can fit with my tc? Hi,Juanito,Can you explain your question?about the wheels?tires?Or others.And if about the rims,You need to show your wheel size,or tire size. I own a '16 Tc and need winter tires. Will a 16'' wheel fit? Looks like there isn't much room between the calipers and the interior of the wheel itself. If yes, which tire size do you suggest? I own a 2015 Scion Tc, can a 18x9 +38mm wheels fit?? Thank you. I have 2012 Scion TC with 18 in tires I want to put winter tires on but it's so expensive...Guy at costo said I can find used 16 in wheels and they can put on winter tires for half the price...Should I go this route and is it safe? Hi,Sarah,The stock rims for your car is 17'',if you want to use 16'',It should be compatible.So,Can you show the 16'' tires and wheel size? Hi,Austin,Yes,I think 17*8'' is ok.The offset is also ok.
My son has a 2008 Scion tC with tires of 215/45R17XL. Currently the stock rims are mounted. He is looking at these rims. Will they fit? The bolt pattern appears different, so I'm a little trigger shy. Hi, Chris,The stock wheel bolt pattern is 5*100.So the new rims is not compatible. Our 2012 Scion TC has a 235 35 ZR19 on it for tire size on the TRD rims I don't know what the rim size is but the bolt pattern and hole should be the same. This is a upgrade stock tire combination and they put Toyo tires on the car. When those wore out at 40k because the TRD lowering springs we changed to a Nitto Motivo tire also its a 60K mile tire. Looking at some rims for my 2015 scion tc. 18x9.5 +12. Will these fit and clear the brake or bbk? And how would it look? Just wondering but will 225 35 18 with an offset of ten fit my 07 Scion tc? Hi,Sosajr,What your current tire size? My question is ...Will they fit okie...and is going down a size in width from what it calls for unsafe? I think there will be a slight stretch but not by much. My stock on 18' Is 225...x 7.5....and 19is 235(stock) x 8'......so i wondered if the 225 on the 19 would even fit or bead at all.....I mean it I think it will but I'm worried about that 1/2 in difference of wheel width and if itll make it difficult or unable to fit properly. Hi,Fred,Both 7.5'' and 8'' can use 225 tires.